Katie's Bingo - Launched in Feb 2016 - Started by a Player. Katie Bingo is a new site launched in February 2016 on dragonfish platform. 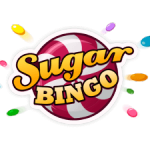 The site has been designed by a regular bingo player “Katie Cooper” so you will get best out of it. Design wise site looks fresh and modern although mobile app is still under development. The site is still accessible on mobile devices like Apple and Android. The minimum deposit on site is just £5 pounds. But if you are looking for a welcome bonus then you must deposit £10 pounds. Players can make a deposit via PayPal, Credit, Debit & Electron, MasterCard, Maestro, Neteller, Paysafe Card, EntroPay, Wire transfer etc. Welcome Bonus: – New players will get an attractive 300% bingo bonus. As per new introductory offer, Players will get 100% and 200% bonus on 2nd and 3rd deposits. The site offers support via Live Help, Email and Phone. Deposit £10 get 300% Bonus.